The Roberts Mauritius 43 was designed for extensive ocean passages, providing a solid platform to comfortably cruise the world. 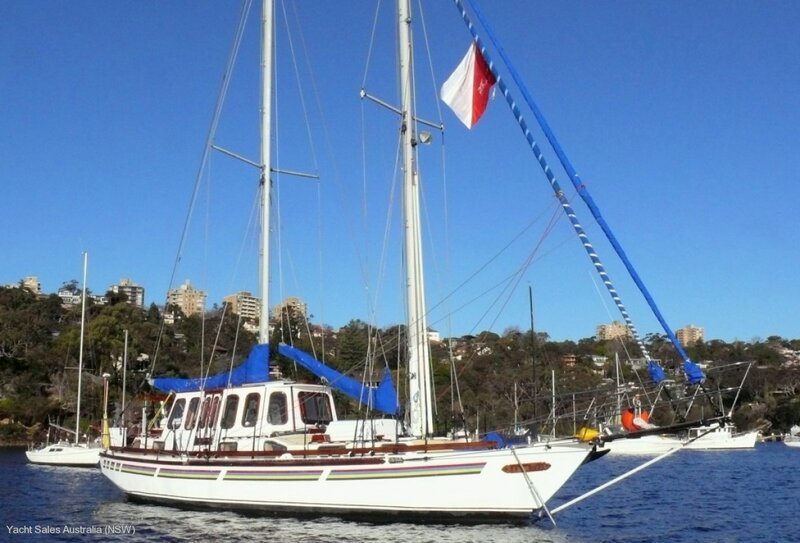 And with professionally built steel construction, schooner rig, enclosed pilot house and traditional long keel this yacht was purpose built for just that. Purchased by her current owners in July 2014 this yacht has undergone an extensive refit with all mechanical and electric systems serviced and required repairs conducted. 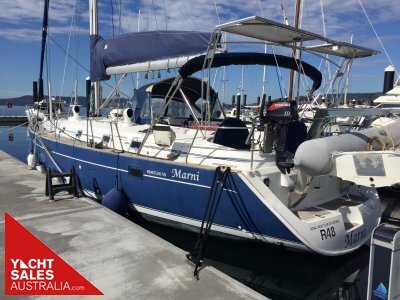 Due to changed circumstances this yacht is now seeking a new owner to benefit from their efforts and investment. Comfortably equipped with a large aft owners cabin, fully equipped galley with saloon servery, large saloon dinette with settee and generous headroom, family or crew accommodation via 3 singles and 2 bunks, fully accessible plant room, full yacht control in enclosed pilot house, offshore safety equipment and more. 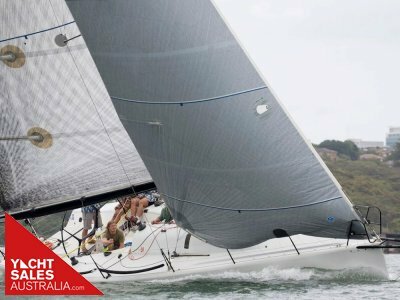 Please contact our Sydney office on 9969 2144 or email sales@yachtsalesaustralia. Com for more information or to arrange an inspection. 44hp Volvo Penta 200T diesel to shaft driven 3 blade fixed propeller. Serviced May 2015. Engine room: Plant room located under cockpit with full access available. The fully enclosed pilot house is the perfect location for sundowners, providing comfortable seating for 8 with screens installed to keep the heat out while good ventilation and visibility is available from all sides. Access to all quarters can be made via the saloon ladder or master cabin hatch. The yacht's layout includes a large aft master cabin with double berth, ensuite shower, full sized navigation table, lounge area and systems panels. To port is a U shaped galley with saloon servery. Access to the saloon is via a stbd walkway. Separating owners and guest accommodation is a good sized saloon/entertainment room with seating for 8. Forward accommodation includes 3 cabins with 2 x single bunks and 2 x single berths. Main head with electric toilet, shower and vanity located forward. H&C shower and vanity located in aft cabin. Raymarine ST40 bi-data, 2 x Magellan Nav5000 GPS, Lowrance Blue Water 200M sounder, Simrad AP300 autopilot, Icom IC-M700 HF, Standard Horizon Eclipse VHF, weatherfax available via SSB. Aries wind vane, ships clock and barometer. 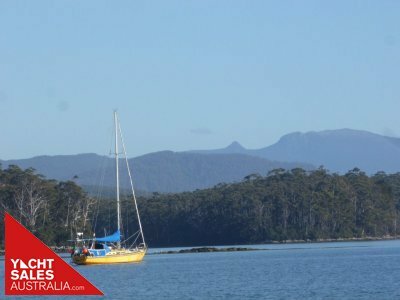 Staysail schooner, masthead rig with twin aluminium masts, aluminium boom, 1/2" parcelled and tarred gal shroud & backstay rigging, twin stainless forestays and inner forestay, 2 x mast mounted spinnaker poles. This rig was built to last! Ready to fulfil your cruising dreams, Rayon Vert represents fantastic value with all required maintenance complete and a host of included spares.